Shopleadly applies the smartest e-commerce technology to make the consumer shopping experience easy, efficient and fun: find the ideal price for Logona Natural Body Care at the ideal store. 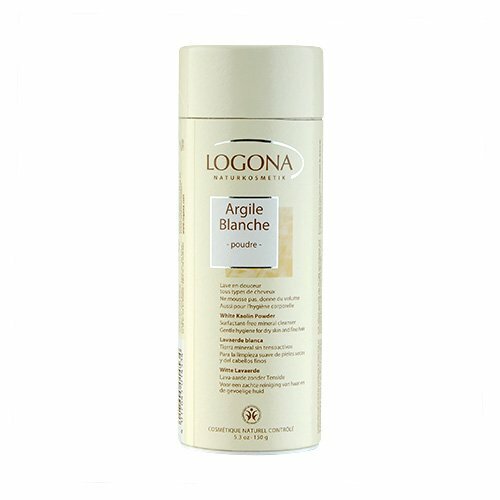 Compare prices and explore Logona Natural Body Care at all the leading online stores in the world. Find the cheapest & discount price. Free Shampoo & Shower Gel meets the unique requirements of highly sensitive, easily irritated skin. A combination of very mild, natural cleansing agents of plant origin, plus moisture retaining glycerin, cleanses skin and hair very gently, without drying. Well - groomed, healthy looking hair boosts your self - confidence and sense of well - being. Logona hair shampoos and LavaErde cleansers, conditioners, and treatments give you the tools you need to maintain your hair's natural beauty. Free of petrochemical derivatives, synthetic preservatives, and colors. Exceptionally mild, biodegradable sudsing agents. Dermatologist - tested. 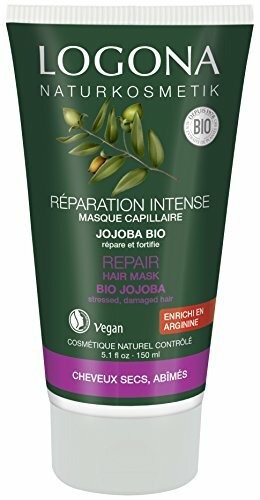 UPC: 4017645008915 Front Label Panel: Logona-Kosmetik Masque Capillaire Au Jojoba Hair Repair Jojoba Structural Enhancer Net Wt 5.1 Fl Oz. Instructions: Massage About A Walnut Sized Portion Into Your Washed, Towell Dry Hair, Allowing To Work Into Your Hair For 5-10 Minutes, Before Thoroughly Rinsing. Ingredients: Water, Glyceryl Stearate Se, Simmondsia Chinensis (Jojoba Oil), Cetyl Alcohol, Behenyl Alcohol, Betaine, Arctium Lappa (Arctium Lappa Seed Oil), Betula Alba (Birch Leaf Extract) Urtica Dioica (Nettle Extract) Lawsonia Inermis (Henna Extract), Carthamus Tinctoius (Safflower Oil) Pca Ethyl Cocoyl Arginate, Lecithin, Lanolin, Glycerin, Lauryl Lactate Disodium Cocoyl Glutamate, Sodium Cocoyl Glutamate, Parfum (Fragrance) Sodium Citrate, Citric Acid. Supplemental Facts: Jojoba Hair Repair Naturally Restores Your Hair With Nourishing And Moisturizing Botanical Oils And Extracts. Specially formulated for the unique requirements of men's skin and hair, Logona products for men contain carefully - selected herbal extracts and vegetable oils derived from organically grown or wildcrafted plants. They are free of synthetic preservatives, colors and petrochemicals. Essential oils, such as citrus and oak moss, provide the clean, fresh fragrance. UPC: 4017645003507 Front Label Panel: Logona Mann Aftershave Lotion Net Wt 3.4 Fl Oz 100 Ml Instructions: See Instructions Inside. Ingredients: Polyglycerylester, Glycerin. Supplemental Facts: Logona Aftershave Lotion Soothes Irritated, Reddened Skin And Heals Tiny Nicks With A Long Lasting Masculine Aroma Redolent Of Herbs, Woods, And Spice. Logona Hair Color Application Brush is great tool to apply either powder mixture or color cream. 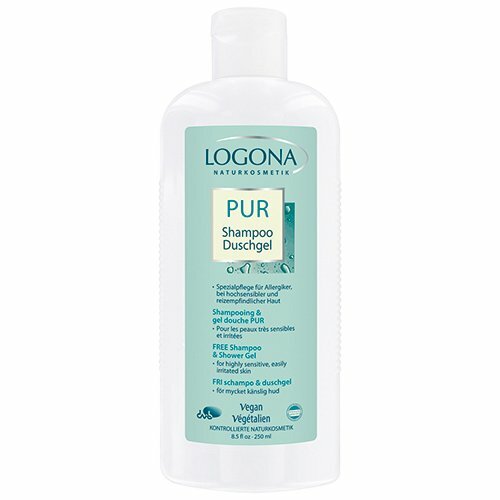 To prepare your hair optimally prior to coloring, use Logona Color Plus, with green clay and birch leaf extract. 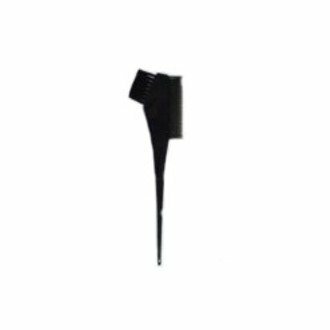 It cleans your hair intensively, removing treaent and styling product residues, other particulate matter, and excess oil. The result is surface onto which the hair color can adhere better. 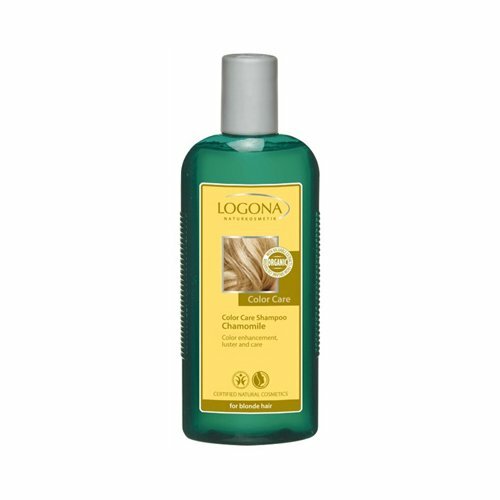 Logona Hair Color Conditioner is recommended for maintenance of your hair's color instead of shampoo. This special conditioner intensifies and underlines the color and brilliance of your hair. LOGONA White Kaolin Powder has the following features:Completely iron-free and, in light of the high clay content, has extremely fine particles.Offers particularly gentle cleansing - its cleaning properties are based on a purely physical active principle: when mixed with water, white kaolin binds dirt and oil particles, making them easy to rinse out.Free from any additives.Particularly recommended for dry and sensitive or problem skin, and fine hair. LOGONA Herbal Mouthwash Concentrate has the following features:Unites sage, propolis and a blend of essential oils to protect the gums and leave breath pleasantly fresh.Myrrh and spirit of wine have a mildly disinfecting effect and invigorating the mouth and throat. 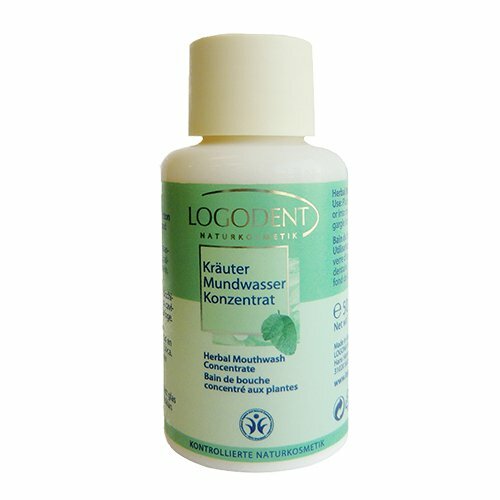 Logona toothpaste and dental gels, are based on the most recent scientific studies as well as herbalist traditions. Extracts of Echinacea and Green Tea slow plaque and cavity development by inhibiting bacterial growth. Witch Hazel, Chamomile and Myrrh strengthen gum tissues and help prevent inflammation. Small amounts of finely - ground silica and sea salt are included to provide the brush with fine particles to clean more effectively. The herbal extracts utilized contain trace amounts of minerals and naturally - occurring fluoride. Logodent products contain no fluorides, synthetic colors or preservatives and they are completely free of sodium lauryl sulfate. UPC: 4017645008274 Front Label Panel: Logodent Dental Gel Strawberry 50Ml. Net Wt. 1.7Fl.Oz. Instructions: Brush Teeth As Usual. Ingredients: Aqua (Water), Sorbitol, Glycerin, Hydrated Silica, Xylitol, Aroma, Algin Commiphora Abyssinica Extract, Chamomilla Recutita (Matricaria) Extract Camelia Oleifera Leaf Extract, Sodium Biocarbonate, Disodium Cocoyl Glutamate Sodium Cocyl Glutamate, Sucrose Laurate, Maris Sal (Sea Salt) Beta Vulgaris (Beet) Root Extract, Capsicum Annuum Extract, Phytic Acid Cl_75120, Cl_75470. Supplemental Facts: Kids Dental Gel Strawberry. Zero Sodium Lauryl Sulfate. Fluoride Free. Logona toothpaste and dental gels, are based on the most recent scientific studies as well as herbalist traditions. Extracts of Echinacea and Green Tea slow plaque and cavity development by inhibiting bacterial growth. Witch Hazel, Chamomile and Myrrh strengthen gum tissues and help prevent inflammation. Small amounts of finely - ground silica and sea salt are included to provide the brush with fine particles to clean more effectively. The herbal extracts utilized contain trace amounts of minerals and naturally - occurring fluoride. Logodent products contain no fluorides, synthetic colors or preservatives and they are completely free of sodium lauryl sulfate. UPC: 4017645008250 Front Label Panel: Logodent Dental Gel Spearmint 50Ml. Net Wt.1.7Fl.Oz. Instructions: Brush Teeth As Usual. Ingredients: Aqua (Water), Sorbitol, Silica, Sodium Bicarbonate, Disodium Cocoyl Glutamate Sodium Cocoyl (Glutamate), Citrus Aurantium Dulcis (Orange) Oil, Commiphora Abyssinica Extract, Menthaviridis (Spearmint) Leaf Oil, Hamamelis Virginiana (Witch Hazel) Extract, Chamomilla Recutita (Matricaria) Extract, Echinacea Pallida Extract, Glycerin, Xylitol, Xanthan Gum, Aroma, Algin, Phytic Acid, Cl 75810, Limonene. Supplemental Facts: Kids Dental Gel Spearmint Zero. Sodium Lauryl Sulfate. Fluoride Free. Customers who bought Logona Natural Body Care also bought Aventurine Quartz Ring, Professional Hi Hat Stand, Wine Label Journal - you may also be interested in these popular shopping ideas.